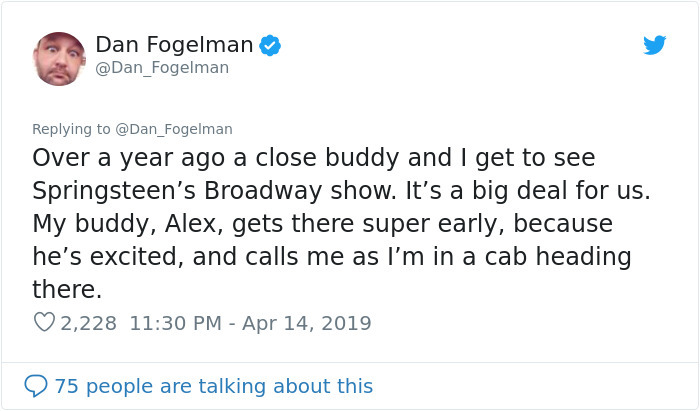 People are fascinated by celebrity encounters, those stories that give a small snapshot as to what these prominent figures are like just one on one. 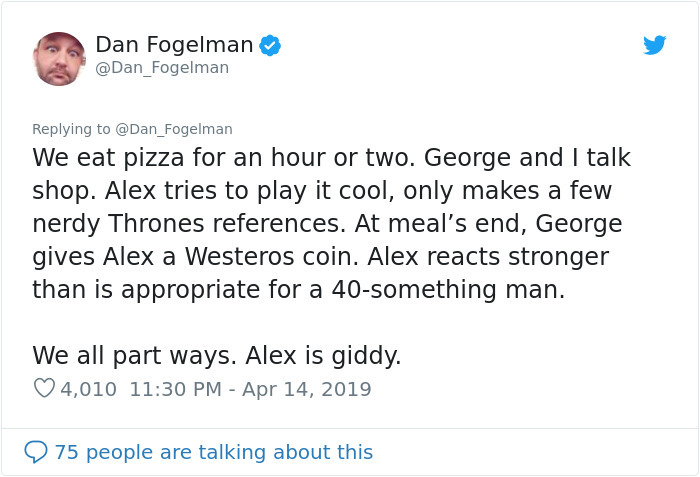 Sometimes we are disappointed to find out that our famous heroes are actually jerks but other times we get a story that makes us even bigger fans. 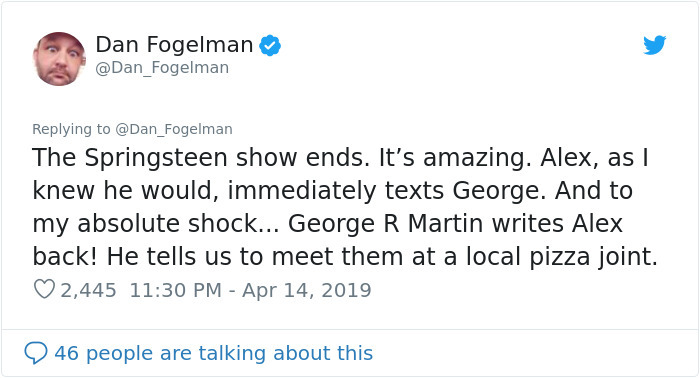 Writer George R. Martin has reached a level of celebrity that not many other writers experience, with Game of Thrones mania reaching around the world. 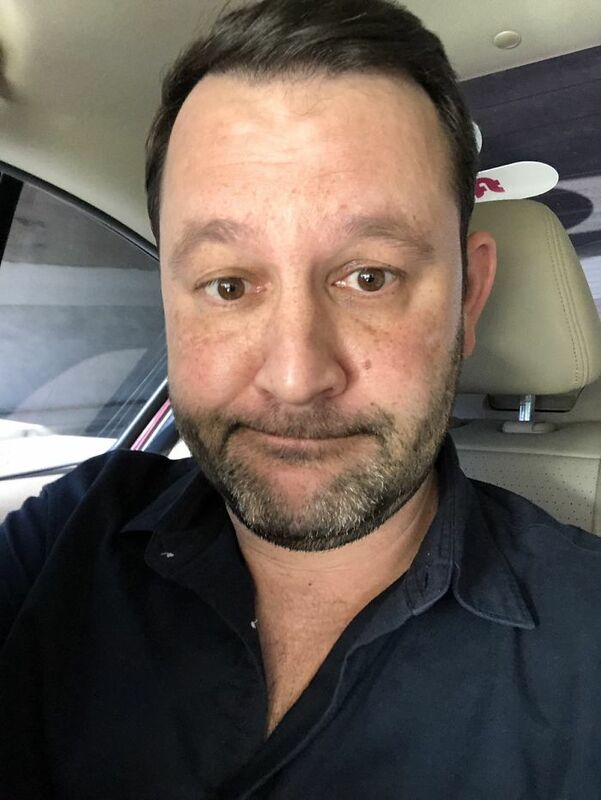 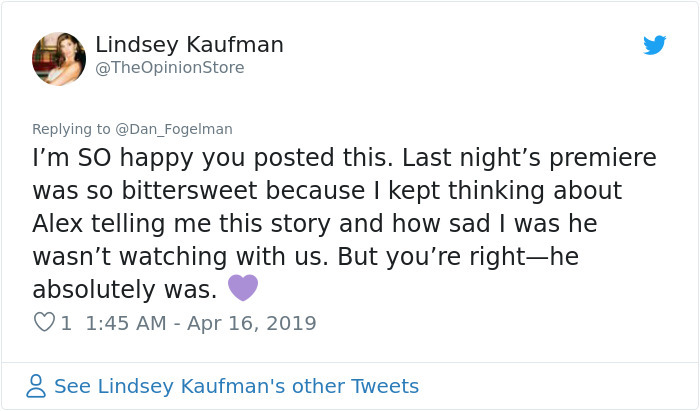 With the final season upon us, ‘This Is Us’ creator, Dan Fogelman, decided to grace Twitter with his touching celebrity experience with the renowned author and people everywhere can’t stop crying. 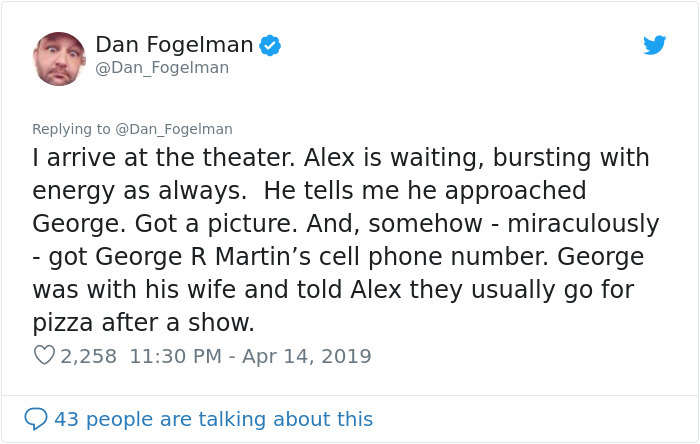 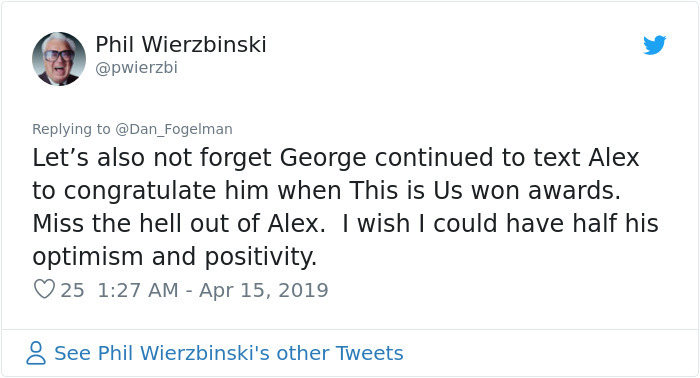 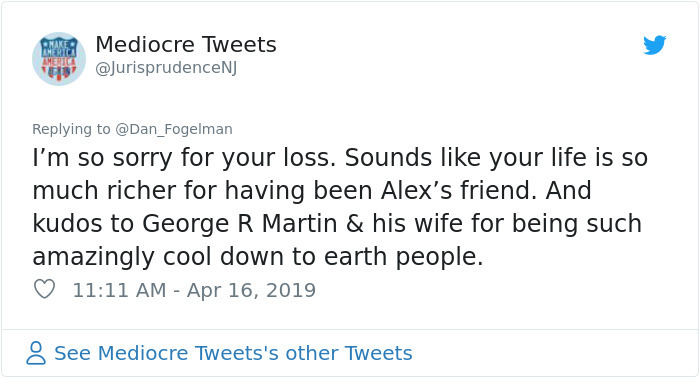 In a twitter thread, the creator of the hit NBC drama shared the story of him and his friend Alex Hanan running into Martin at a Broadway show in 2017. 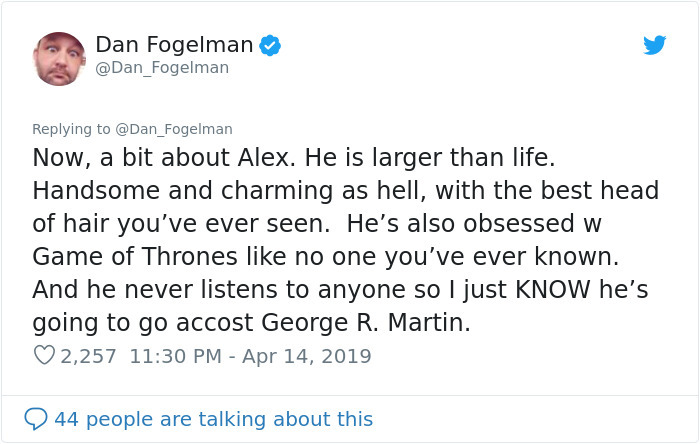 Fogleman describes his friend as “handsome and charming as hell” then goes on to explain, “He’s also obsessed w ‘Game of Thrones’ like no one you’ve ever known.” It becomes clear the focus of the story is about his superfan friend trying to meet his idol. 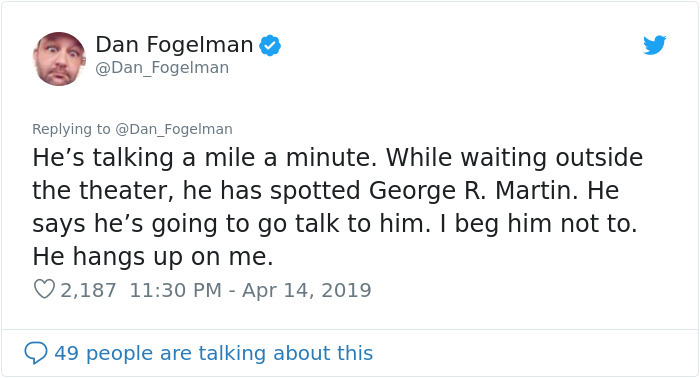 Despite Folegman’s pleading to keep cool Hanan refused to let the fan opportunity get away from him. 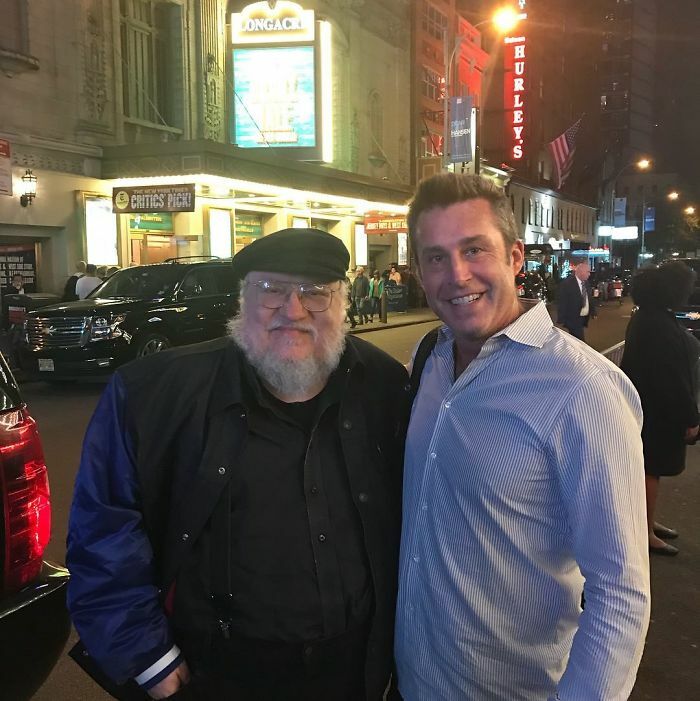 He got his fan photo and “miraculously got George R Martin’s cell phone number,” who was accompanied by his wife. 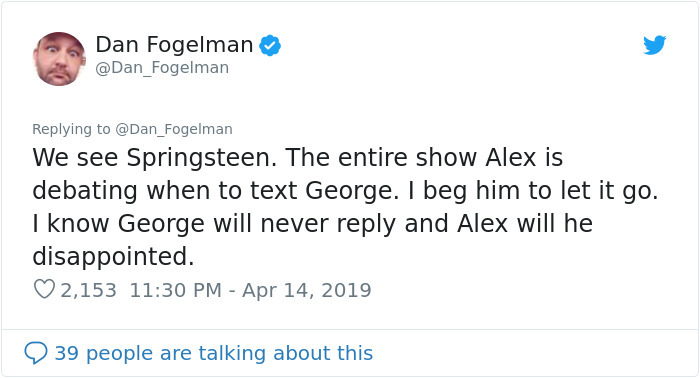 After the show, his excited friend can’t decide whether or not to text Martin. 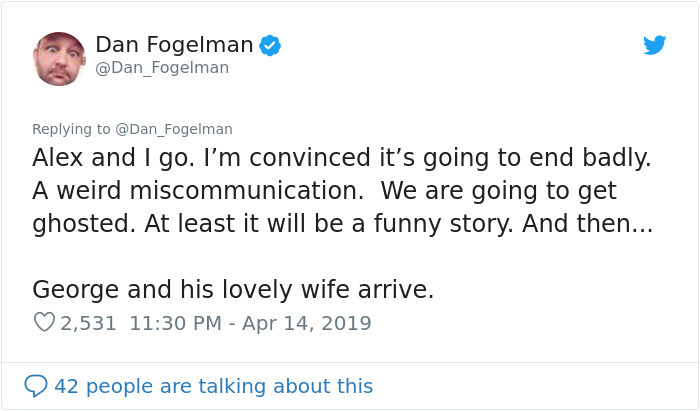 Fogleman begs him not to afraid that he will only be disappointed when his idol doesn’t respond, but once again Hanan cannot be deterred from at least trying – which once again pays off. 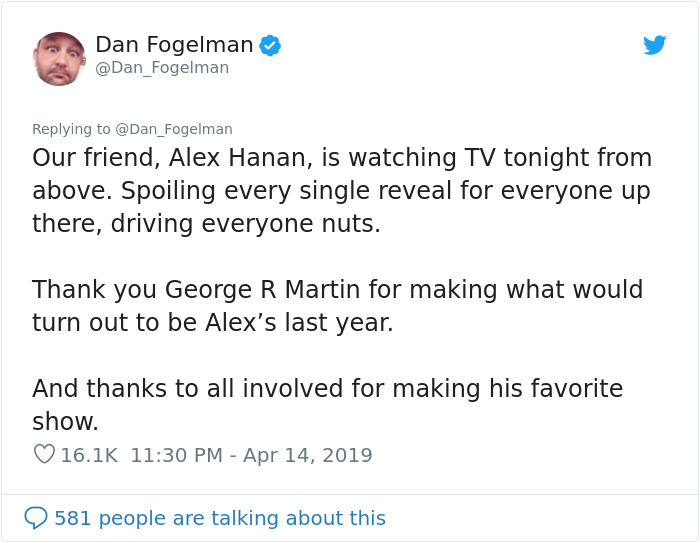 The night ended with a giddy superfan living out a night with the author of his favorite series, but that’s not how the Twitter thread ended. 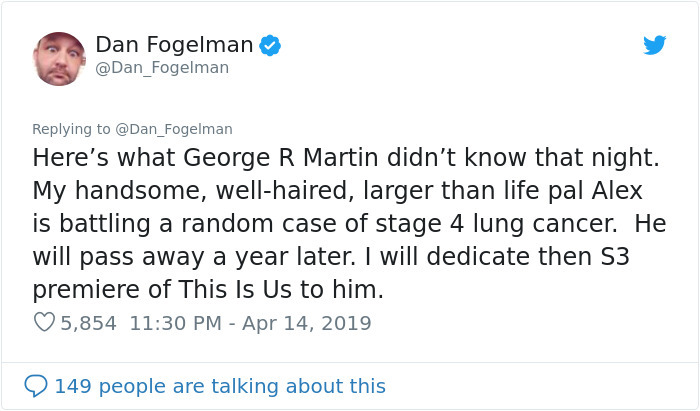 What George R. Martin didn’t know that night was that the joyful Hanan was battling stage 4 lung cancer. 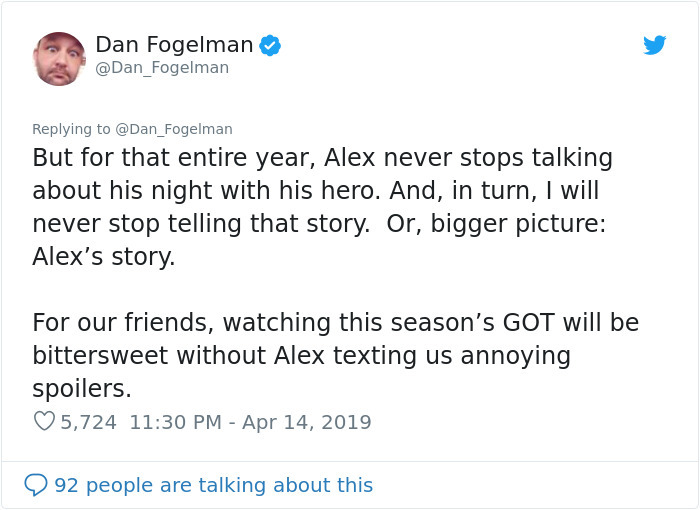 For Fogelman, this final season of Game of Thrones will mean more than just a cool T.V show. 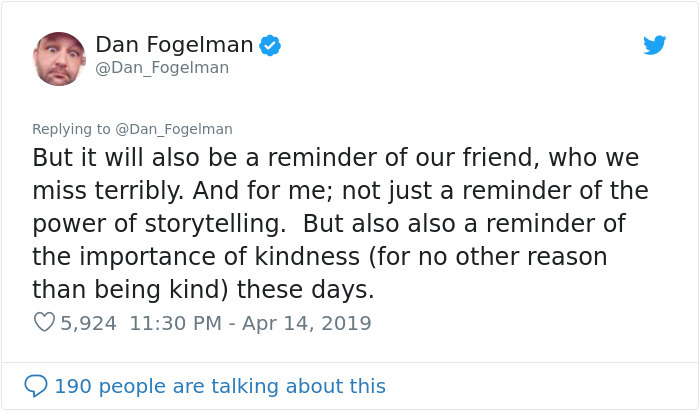 “It will also be a reminder of our friend who we will miss terribly.” And adds that people should use the story as “a reminder of the importance of kindness (for no other reason than being kind).